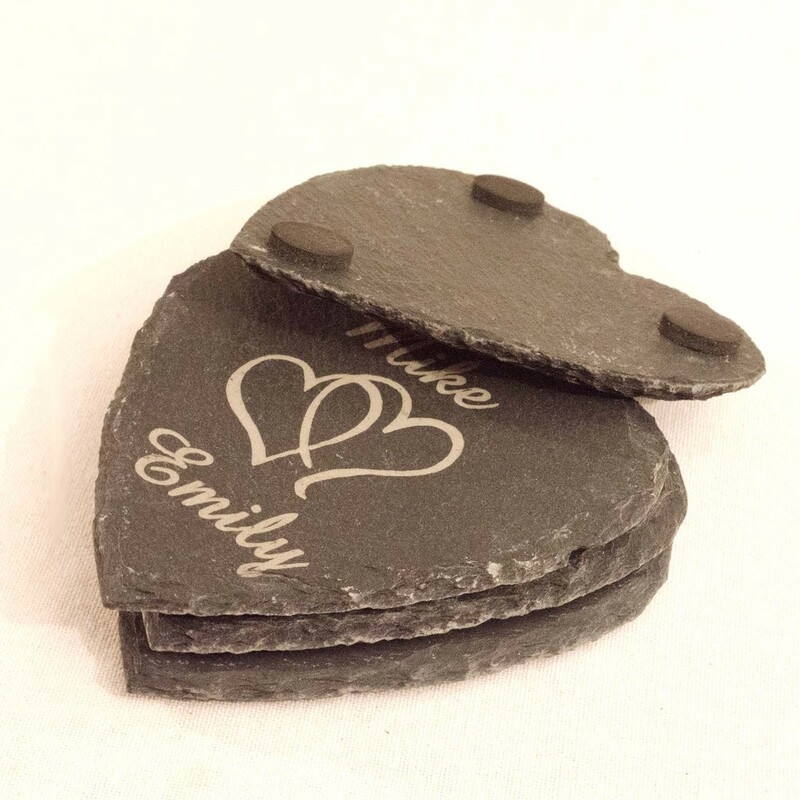 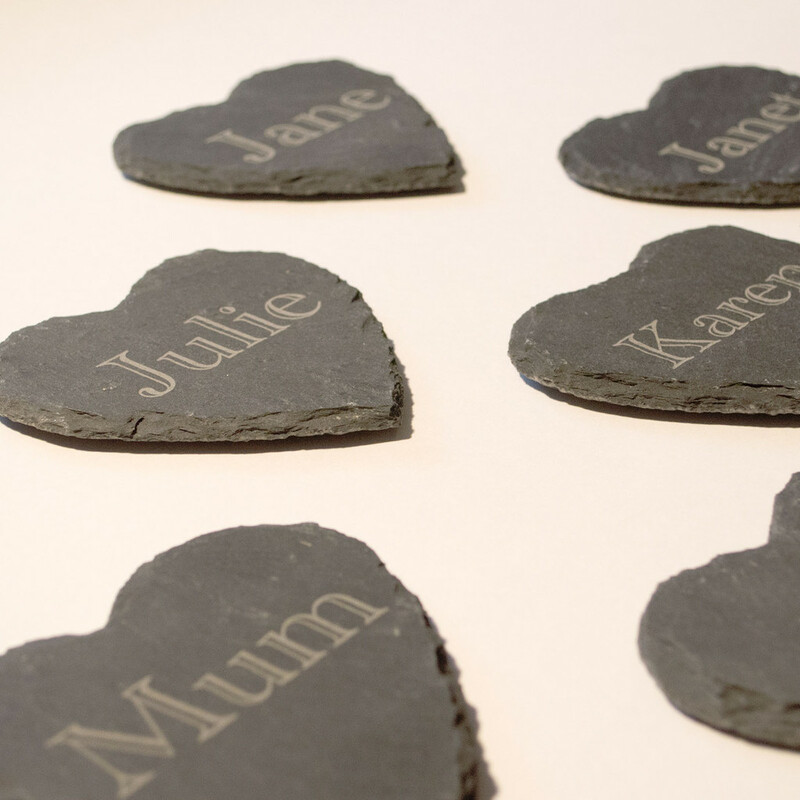 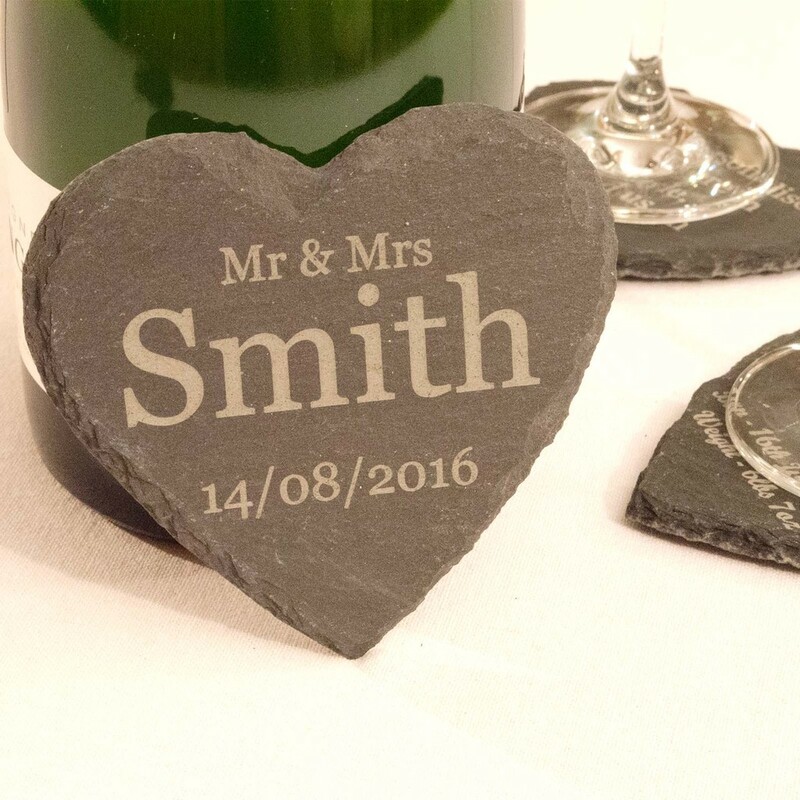 These elegant heart shaped coasters are cut from natural slate and feature three rubber feet on the base for added protection and stability. 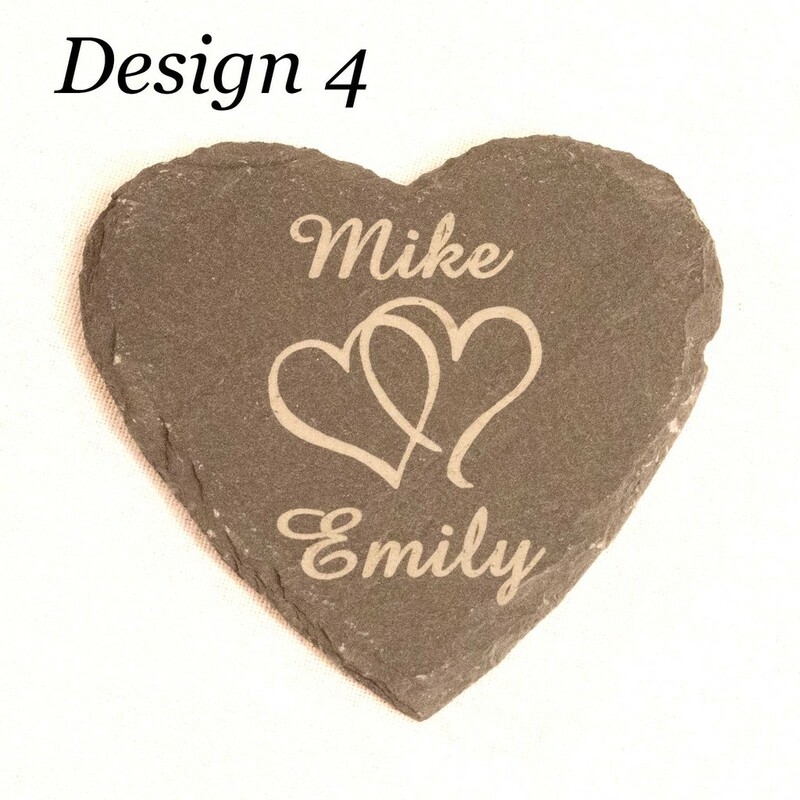 Each coaster is laser engraved with the individual details of your choice. 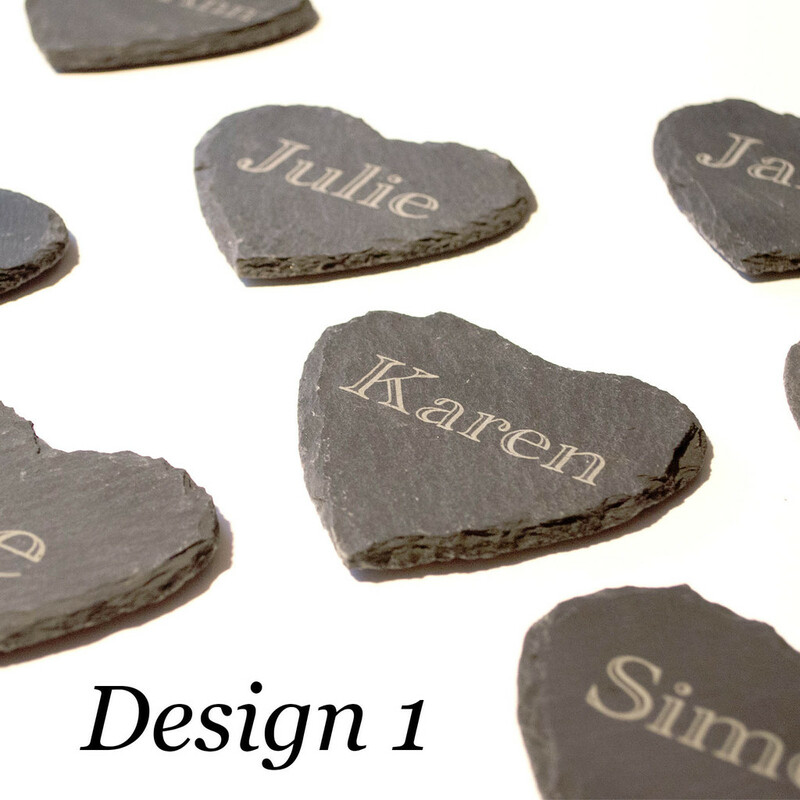 You can choose one of our own designs as shown in the pictures or you can send us your own design or image to use. Available in various quantities these beautiful coasters would make an ideal gift for a loved one. 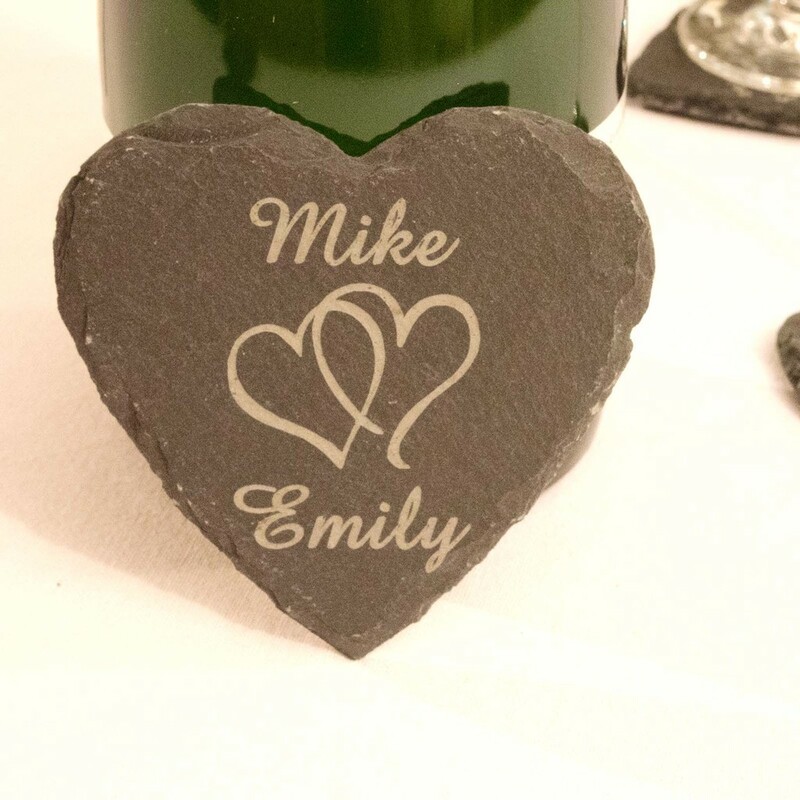 They would also make a great addition to a wedding, as they could be used to display table numbers, guest names or as a favour for your guests. 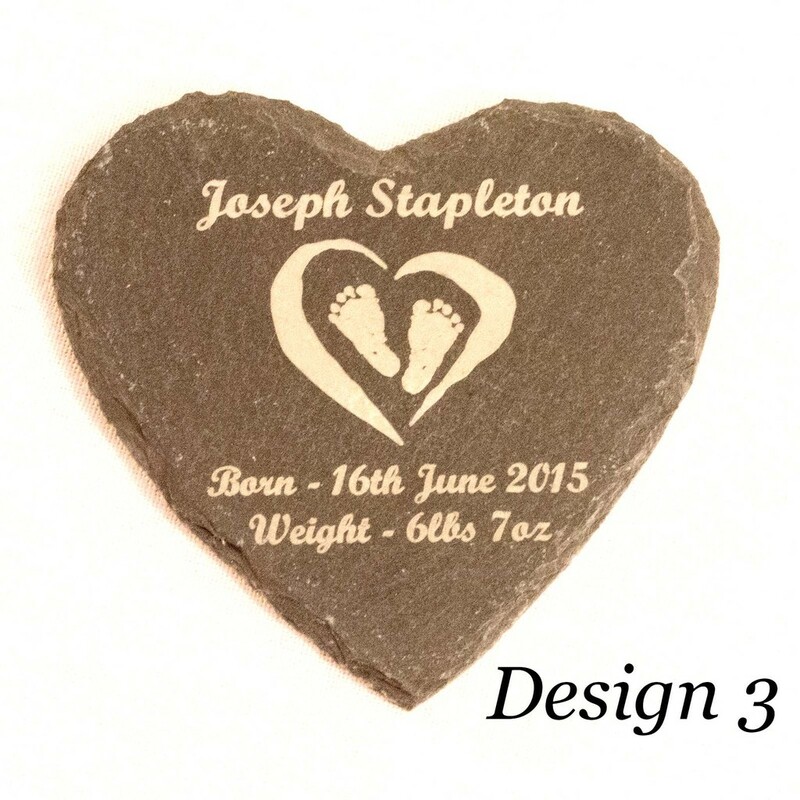 Dimensions: Approx 11cm X 11cm and 4.5mm thick. 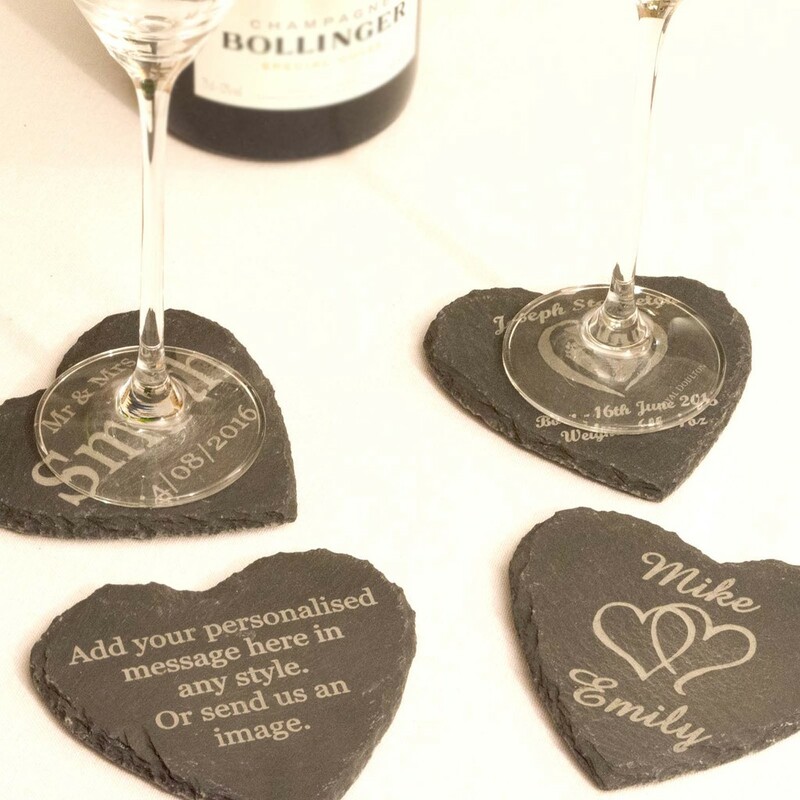 Please use the dropdown boxes at the top to select the number of coasters you require. 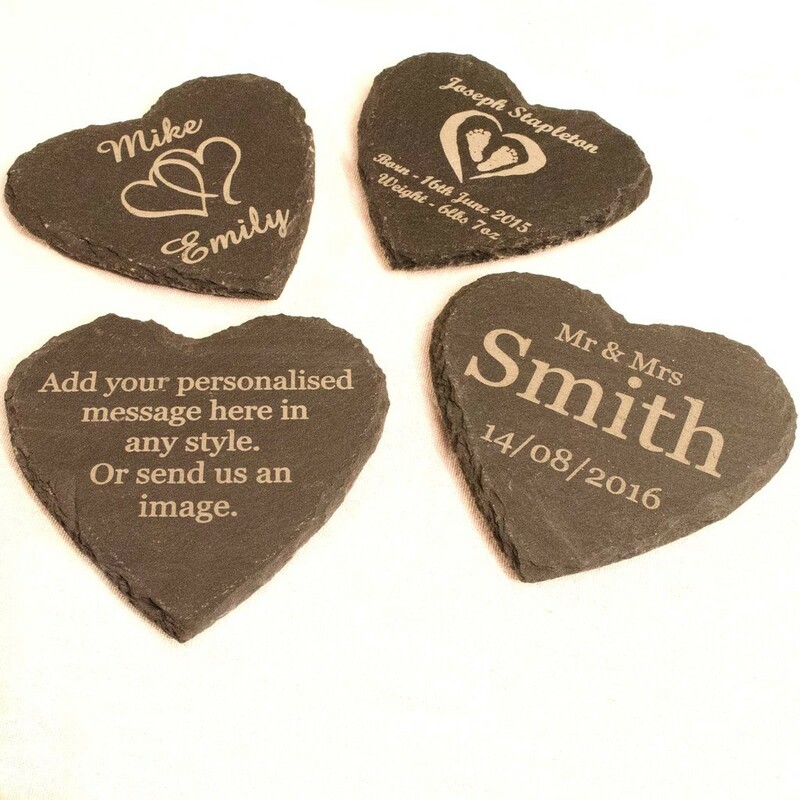 You can leave your engraving details and the design you would like us to use in the comments box when you make your payment or you can send a message to hello@rustic-charm.com.